PS If your family or friends are anything like mine, they’re likely skeptical of “the F word” — Fasting. I created a basic guide and information page to explain the intermittent fasting concept in layman’s terms. Feel free to share this with anyone who is curious. Day 1 - Introduce yourself on the Facebook community group welcome thread and familiarize yourself with the Comprehensive Program Guide in the FASTer Way to Fat Loss portal. Day 3 - Download the MyFitnessPal app, watch the instructional video, and calculate your macros for regular macro day and low macro day. Figure out your max heart rate (Max Heart Rate = 220 – your age). Then determine your fat-burning range, which is 60% to 70% of your max heart rate. I strongly suggest you live gluten free and dairy free as much as possible. I sometimes incorporate fun foods on leg day and use an IIFYM approach. If you are serious about seeing results, stick to this strategy. Use the MyFitnessPal app to calculate your calories and macros. Feel free to read my blog post I did on breastfeeding while doing the FASTer Way to Fat Loss! Included are three exercise plans (gym, at home and beginner) for you to use. 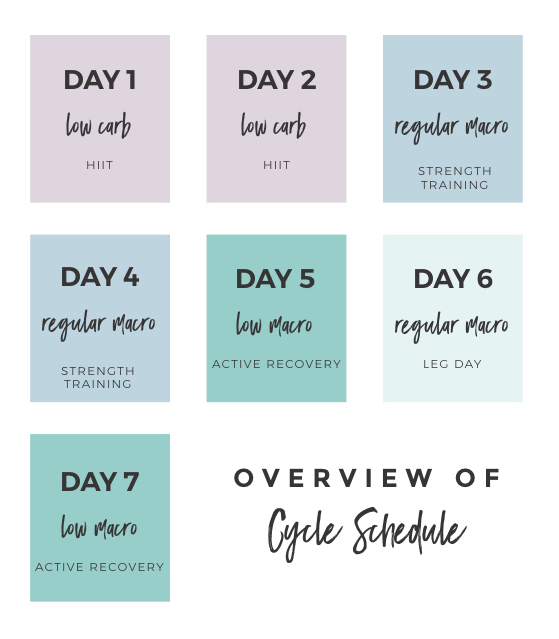 If you have not worked out in a while or are new to exercising, I want you to use the beginner plan until you are more comfortable with exercising and can safely move to the at home or gym version. My workouts are meant to be short and effective while not over training! If you only have 30 minutes to do the workout, only do 30 minutes! If you are working out at home, I suggest a variety of dumbbells or weights (5lbs - 15 lbs) and a heavier object like a kettle bell (20-25lbs). If you have an elliptical, spin bike or row machine at home, this will work fine for sprint days! If it is too hot or cold to sprint outside, repeating the other low carb workout is okay! If you are injured or something hurts, I want you to stop! We are working to prevent injury and illnesses and not aggravate them. You will not need to adjust macros if you are injured as our body still needs fuel to heal. I do suggest that you go to the doctor and get looked at to know what the problem is your restrictions and when you can resume working out again.